Due to recent current events and a heightened state of awareness of potential security threats, more and more people are looking to make their facility as secure and bulletproof as possible. Schools, government buildings, hospitals, and financial institutions are some of the many facilities that constantly under the threat of acts of violence, robbery, and/or theft. What Does “Bulletproof” Actually Mean? Although many products and materials claim to be bulletproof, it is nearly impossible to make a structure that is completely invulnerable to all forms of ammunition. For instance, look at a what most people would consider being a “bulletproof vest”. In this case, a large number of bulletproof vests on the market are rated by the NIJ to protect against 9mm ammunition, fired from a short barrel handgun, although there are many others can resist higher caliber rounds. The purpose of these bullet resistance ratings is to give a full and common understanding of what each product/ structure can and cannot protect against. For this reason, it is important to realize bulletproof vests only fully protect against the caliber of round they are rated for. While there are many things that get this bulletproof label, the fact is most of these products and structures are in fact better referred to as “bullet resistant”. The same thing is true for bulletproof walls. In the case of our wall systems, Panel Built constructs them to meet UL or NIJ bullet resistance levels (depending on the specifications). For UL’s bulletproof ratings, all levels are specified for a particular ammo type that includes the caliber, weight, and minimum and maximum feet per second the bullet will travel. The UL levels will also specify the number of shots of each ammo type the structure must be able to withstand in order to satisfy the level requirements. Below is Underwriting Laboratories bullet resistance levels. As it can be seen, UL ballistic levels are fairly extensive in both their range and detail. While every facility would prefer to have the highest-level bulletproof walls as protection, this will not really be practical for every application and every facility. Areas at the highest threat level are going to be the areas that are most likely to have these incredibly high levels of ballistic rated protection and some of the highest levels of security. In many cases, these are areas that are potential terrorist targets. However, these can also be places that hold something highly valuable like weapons, luxury goods, commercial inventory, or even information. The facilities under the greatest amount of risk across the entire globe are those facilities that are military and government related. Multiple reasons make these types of area “high-threat,” and therefore, in high need of ballistic rated protection. The number one reason, that is common between the two types, is the valuable intel that each of these facilities holds. Now, typically to secure information, a SCIF room will be used to keep the info from being intercepted, but a first line of ballistic defense will keep a physical intruder out in the first place. Unfortunately, government facilities have historically been highly targeted for terrorist attacks as well, especially those facilities that are on the federal level. For this reason, these facilities will typically have the higher ballistic protection. Specifically for military facilities, they will also typically have a large variety of weapons and ammo as well which inherently raises the risk level. 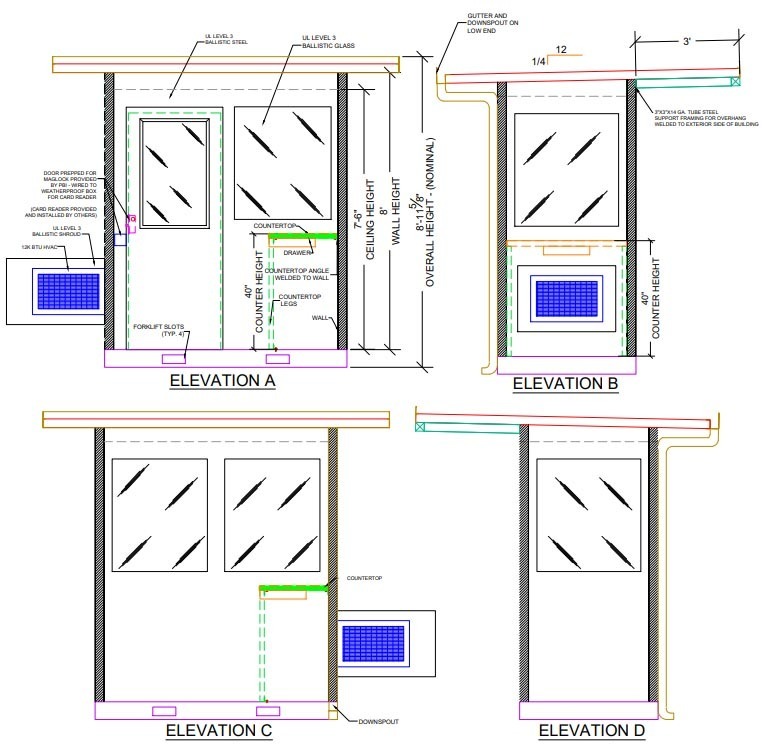 For Panel Built, a number of different industries have found applications for our bullet resistant lines of buildings. For example, transportation hubs are turning more and more to bulletproof solutions in order to beef up the security at their facilities. With large amounts of people entering and exiting their facilities on a daily basis, these hubs have to have top of the line security, whether they are a major international airport, train, or bus station. This “bulletproofing” can be seen around the perimeter of these hubs or even at ticket gates and screening areas. Similarly, areas like schools, malls, and sports venues are looking more and more to implement the benefits of ballistic rated protection. The security personnel and the other at-risk people can be shielded if the proper precautions are taken. This way, the facility’s security team will have the best protection possible and can handle threats more easily. Of course, acts of terror are not the only cases where bulletproof walls and buildings are utilized. Other high-risk facilities include those that potential targets for theft or robbery. Inevitably, these threats against merchandise or inventory will bring employees or customers in danger as well. For commercial buildings, bulletproof walls are primarily used in the perimeter protection of their facility. These buildings allow facility security to properly screen all incoming and outgoing vehicles. So the ballistic rated building acts as a deterrent to would-be trespassers, and the guards can actively prevent threats from entering the facility. 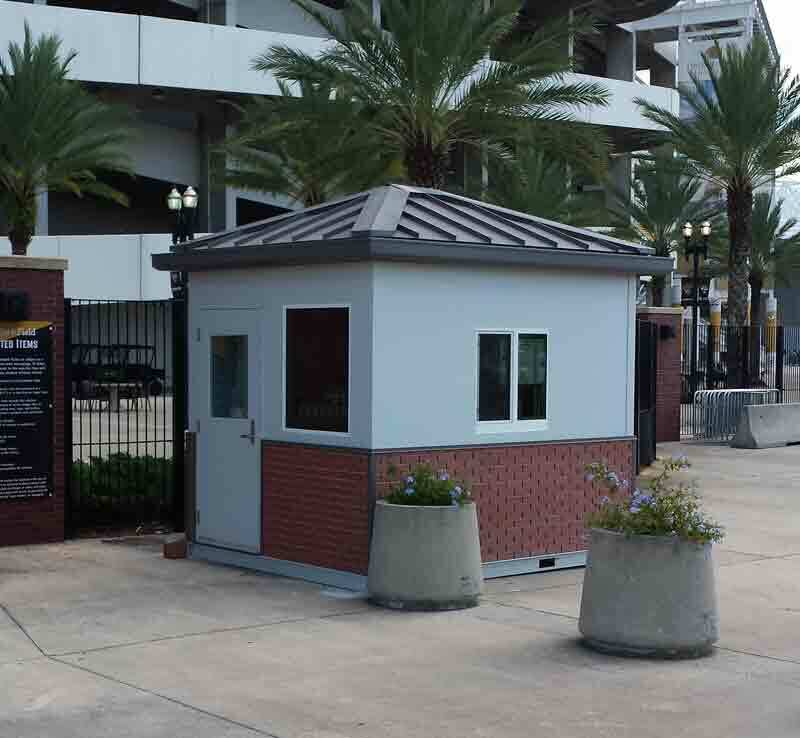 Overall, there are a number of different facilities that could utilize bulletproof walls in a variety of applications. Typically, these facilities will either be a target for a terrorist act or have highly valuable goods/materials. Regardless, bullet resistant walls offer an overall safer environment for employees, security team, and patrons as a whole. In all secure facilities, an additional layer of ballistic rated protection will go a long way to not only protect the people inside but to also put the security staff’s mind at ease. However, in areas of military, government facilities, school campuses, banks, transportation hubs, and other commercial and residential facilities, bulletproof walls help ensure their facilities are ready to handle any threats thrown their way. 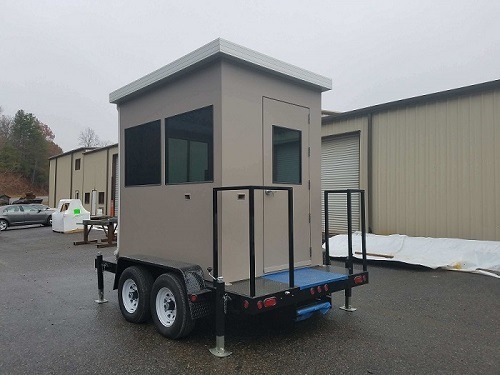 To see the bullet resistant wall solutions that Panel Built offers, check out our Ballistic Rated Buildings page, Request a Quote, or give us a call at 800.636.3873.